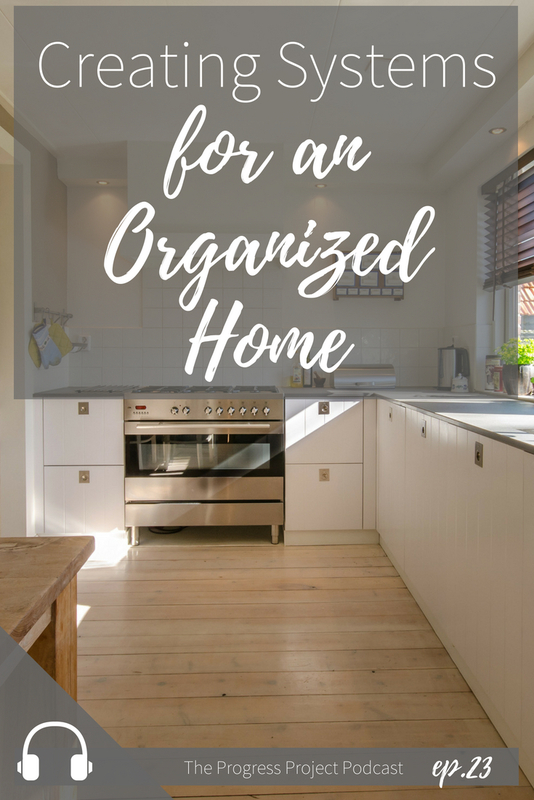 In this episode, we’re chatting about creating systems for an organized home. Systems are Kristin’s nerd superpower so we talked about the practical aspects of what Kristin is currently doing to keep her home running smoothly, why a good system works, and how to create your own home systems. We talked about the key step of being proactive about your home routines and the secret to implementing systems that STICK and how to fix them if they’re not quite working. Sometimes I do a “mini reset” on Thursdays if I need to vacuum again, run to the store, or do a load of laundry. The key seems to be being proactive about your home routines and doing them BEFORE the situation becomes dire! Doing a handful of dishes after each meal is much easier than a pile of dried, extra gross dishes at the end of the day. List the things that you NEED to have done in order to feel under control. (This doesn’t have to be what you SHOULD do -- if you don’t care as much about dirty floors, mopping doesn’t need to happen every week.) I suggest the minimum to start with systematizing is the kitchen/dishes + laundry. Decide how often each item should be done. Keep it SIMPLE! Just start with daily/weekly lists. Make the lists visual so your brain doesn’t have to work at all to remember what needs to be done. Get help! Enlist your kids, spouse, or a cleaning lady to take things off your plate. Most importantly: notice where you’re getting stuck or where something isn’t working and fix it! Create a step in the system to resolve that part. The key to effective systems is in tweaking and trying again! For example: What part of laundry day do people get stuck at? FOLDING. I had this problem until I started folding it all Monday evenings after the kids go down while I watch a fun show on my laptop. Laura's favorite thing this week: A fun, clever and thoughtful podcast called Heavyweight it's a great one!